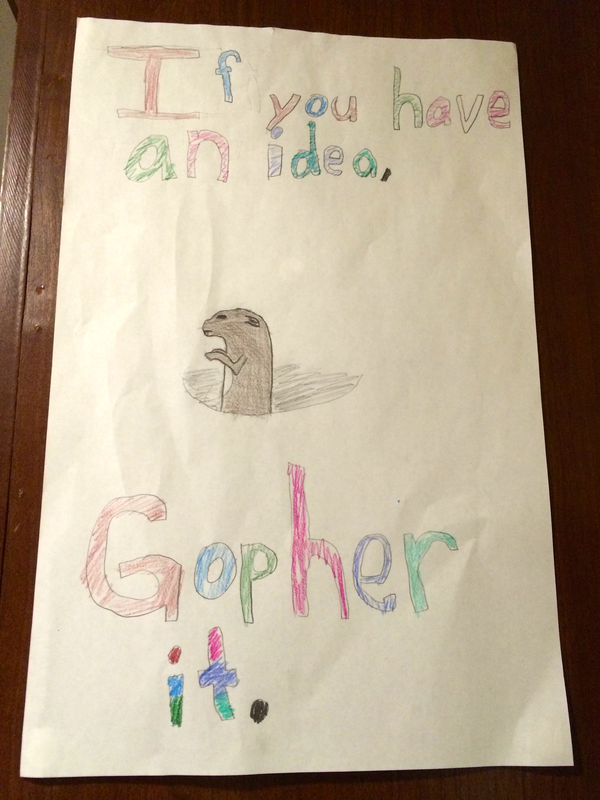 A work of art by Isaiah. This could have been made just for me. It’s funny, thoughtful, and applicable to exactly where I am in life. Isaiah and I went on an adventure Saturday. This is a set of images that capture the parts of our escapade that we wanted documented. Don’t ask about the things that we didn’t get caught (on camera) doing! Our family is pretty normal. We fight, we make up, we stomp around mad Amos chewed the trim on the door (and yes, when he does that he’s “Your (my) dog!”. We ride bicycles, eat out, and talk. We will stand with you through your trials and do everything we can to help. We aren’t perfect, we have our own trials. One of mine was working with a church we attended back in Montana that wanted to minister to the poor in Africa. This is something dear to my heart — I don’t know why. I can’t explain it. We were tasked with doing some “Business Analysis” (my words) of the various options we proposed. I proposed putting feet on the ground in Africa, pouring resources into the region and establishing a network of self-sustaining group homes. Places where “families” — a set of local adults and a large set of local children — could live, with clean water, growing food, have some goats, try to be energy independent (solar, etc) and become a “center” for the community it was embedded in. The proposal that was acted upon was to create an adoption pipeline, where people in the church could adopt African children into their homes. Fast forward five years: today’s New York Times. I still want to create communities in Africa where people can live, learn, and build community. I don’t know what that looks like yet. In the mean time, since I can’t be within arms reach of the people on my heart, I give via Kiva so that my money does enable people in that community to build a better tomorrow. One of the things I did regularly in Montana was make crepes for breakfast (and lunch, and dinner). It’s become sort of a family thing, Isaiah will ask for them if it has been too long since I have made them. He has been asking recently for me to make some, so this week I mixed up some batter (by hand since our blender, mixer, and almost all the other electric kitchen devices have abandoned in favor of space. Making crepes for the first time in the 5th wheel. Using a Lodge cast iron pan. Then the process I follow is to melt the 2 tbsp of butter in a small dish and set aside to cool. Mix the cold wet ingredients (eggs and milk), then mix in the flour whisk, beat or, blend, until it’s smooth. Lastly, mix in the melted butter as quickly as possible so that as it chills and hardens it makes microscopic lumps (not even noticable to the naked eye). Then I let the batter rest until the pan is ready. I use an electric skillet on the ranch, I’m used to it and we’ve become friends. We understand each other. Unfortunately that gargantuan (11×17?) pan is too big for the 5th wheel — it’s also mono-purpose and poses a large mess factor (no edge to contain spatter). 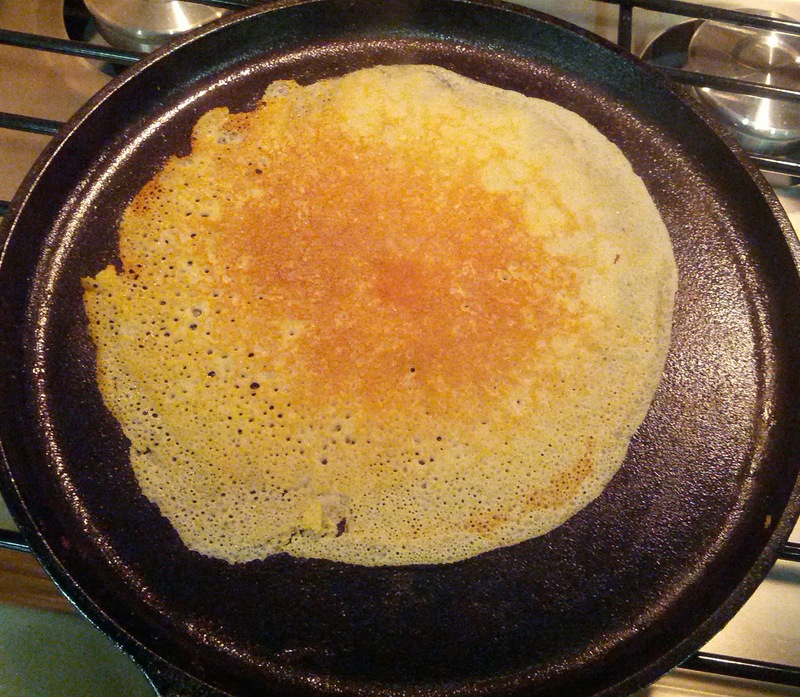 Last night I went in search of a pan to make crepes with the batter I made earlier in the week; I found a reasonable cast iron pan that’s shaped the way I like (for crepes) and can be used in many different ways. It was also reasonably priced (although I just found it on the Lodge website for $4 less than the store!). The first few were touch and go, would we be enjoying crepes in the 5th wheel or should we give that up and create a new tradition? By the 6th or 7th crepe, it was decided. The pan performed, the batter worked, and the crepes were gone! We’ll be doing this again soon. I know. I’m crazy. Most people wouldn’t care or notice, but me, well I’m the guy who moved the red frying pans back to the red section when someone mistakenly put them in the black section. No harm, no foul, but they just didn’t belong there. (Ann knows of this ‘condition’, it’s one of the reasons she married me – I think). Continuing in the “Red and Black are obviously different, let’s be clear about that” theme I stumbled into the candy aisle while killing time. I browse the Twizzlers and red vines because they remind me of my friend Mark Hereld who used to eat them constantly when we worked together a few years ago. Back to the grocery store and the present, I saw the red vines in the picture above and was horrified. Do you see it? It makes no sense? They have red vines in the red vines package, purple vines in the grape vines package, and black vines in the red vines package!? Black is to White as Day is to ? I get this. It makes sense. There is no fruit, no flavor, just a color. This is acceptable, uncomfortable for me, but acceptable. Purple could be eggplant, black raspberries, plums, or grapes. They chose grapes. For “Red Vines” Purple is Grape. This is wrong. Wrong. My head hurts wrong. And what’s worse, I can’t fix it! I can’t repackage them all in the “Black Vines” or even “Licorice Vines” package. It’s killing me. I’m going to have to go buy all the “Black Vines” and hide them somewhere. HELP RED VINES! What’s a (semi-normal, slightly pedantic) guy to do!? Seattle has opened my eyes to the “chaos” — I’m sure our Red Vines in Montana weren’t so confused. If we make it through the first 9 months, I predict we could do this forever. After about a month in our new 5th wheel I can (still) say we made a great choice. Living in 400 square feet isn’t easy. We left a ranch with a log home, two barns (aka shops), lots of outdoor space. Our nearest neighbor was a mile away. We’re now in 400 square feet with our nearest neighbors inches away. This isn’t bad; but it takes adjusting. Adjusting takes time. We’re only one month in — what I call the delusional zone — where we feel so much better than a month ago, we forget how much better it’ll bee when we’re done adjusting. It’s like having kids, when they’re 18-24 months old and they start sleeping you forget how much sleep you lost because they are so cute. It’s a trick. It’s designed to get you to have another one. Stay calm and enjoy the one you have. Same principle applies here. Stay calm and enjoy the progress we’ve made in the last month. Let’s not go crazy trying to get engaged in too many activities. Halloween, Thanksgiving, and Christmas will bring enough stress to test our adjustments to this lifestyle. Culinary paradise starts with donuts. 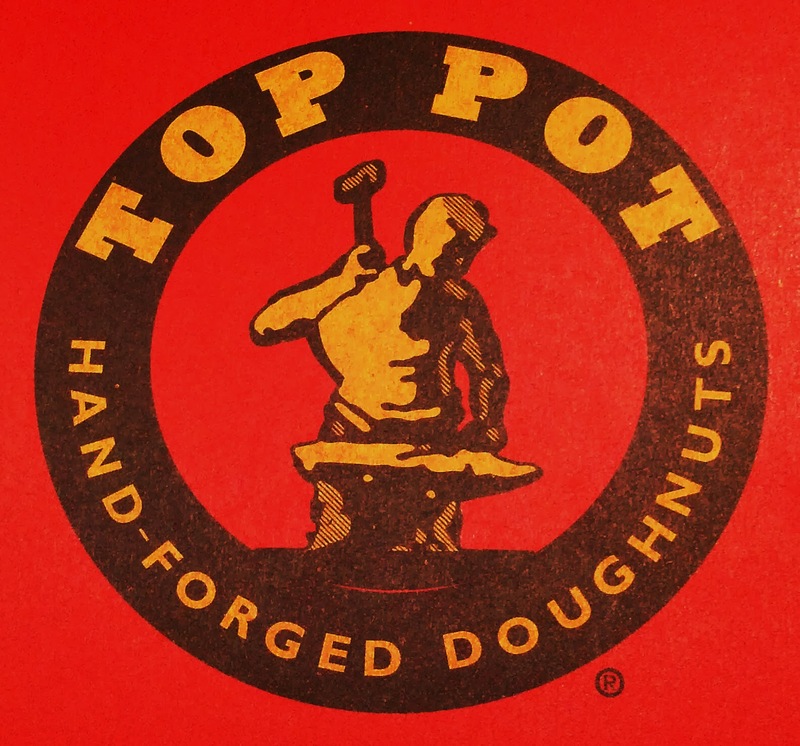 Top Pot Doughnuts, a local favorite. Granny’s Gourmet Donuts is Bozeman. Run by Robert, a guy with a Masters in Computer Science, who’s twin brother runs the local adult toy store, it has the most amazing donuts you’ve ever tasted. He gets fresh fruit daily and incoroporates it into specials like “homemade lemon curd”, “flathead cherry”, or “raspberry” — along with eternal favorites like boston cremes, glazed, and rainbow sprinkled cake donuts. Well, coming to Seattle I was worried about my calories. What could I supplement with to maintain the calorie count I consumed with Roberts donuts?! I was in luck, one of my awesome co-workers, Mr. Banks, brought Top Pot Doughnuts. Home. House. Trailer. Crowded. People. Family. My stream of consciousness is constantly interrupted by someone needing something. Something needing to be put in a compartment, Amos (my dog) needing to be walked. There is no down time — if it’s not one of the million things going on in our 400 square feet, it’s work, finishing edits on the dissertation, coordinating repairs or work on the ranch from afar. But, the longer we’re away from the ranch, the further we get from “home” — the place, the more I realize “home” — the people is where I’m happy. It’s nice to have Ann, Hannah, and Isaiah here in arms reach. Even if we can’t extend our arms all the way. It’s been approximately three months since I arrived in Seattle. The blur slowed in late July, I thought I was getting a handle on things then life sped up: the entire family joined me in Seattle, school started (for both the kids and Ann), I defended my dissertation, and a hail storm caused much damage at the ranch. I have been lucky enough to hit the ground running, without breaking any bones, so far. 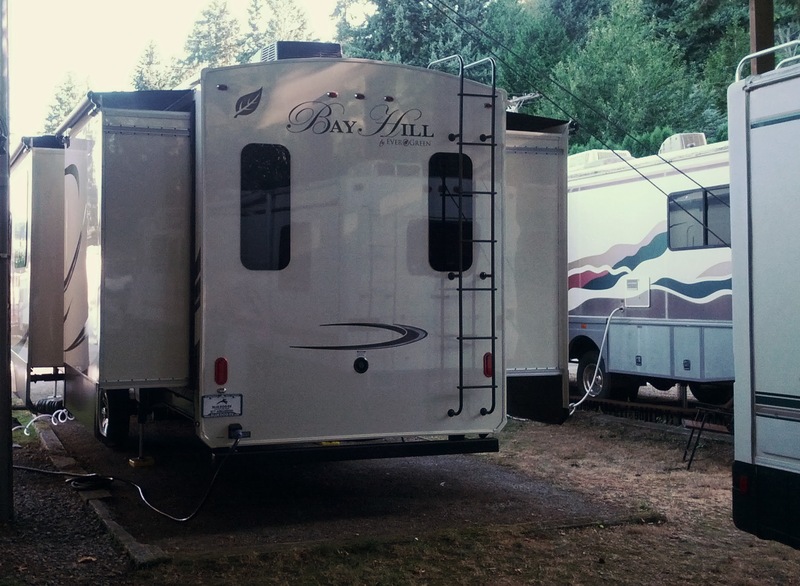 We love our 5th wheel, it takes adjustments to get used to 400 square feet. Adjustment, like choosing what suitcase to throw over the boat so you can stay afloat, is not stress free. I need to get back to running, it burns stress and makes me a nicer husband and dad. The gelato I’ve been eating instead of running isn’t a bad second choice though.